supervises men engaged in cider making, see cider worker (458); starts and stops hydraulic press, in which pulp ("pomace") is crushed, by moving a lever; directs men engaged in loading and unloading press. supervises work of firemen (452), floormen (452), and maltsters (452) q.v. 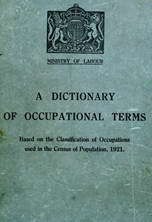 ; allocates work in malthouse; gives directions as to length of time barley is to be steeped, and malt is to be on floors or in kilns; is generally responsible (subject to general control of manager, if any) for making of malt in malthouse; sometimes also does work of kiln foreman q.v. under instructions from foreman maltster q.v., directs loading and unloading of kilns, and opens or shuts doors, windows, etc., to regulate heat of kiln; gives instructions to firemen (452) and kiln men (452) q.v. as to temperature to be maintained in kiln. under instructions from brewer (453) q.v., directs tun room men (459) q.v. as to control of temperature generated by fermentation in fermentation vessels, or regulates temperature by controlling flow of water into fermentation vessels; prepares yeast for use or for storage by draining, etc., and is responsible for its condition. under instructions from brewer (453) q.v., directs labourers as to quantities of different kinds of beer to be run from different vats in mixing; is responsible for cleaning of vats.